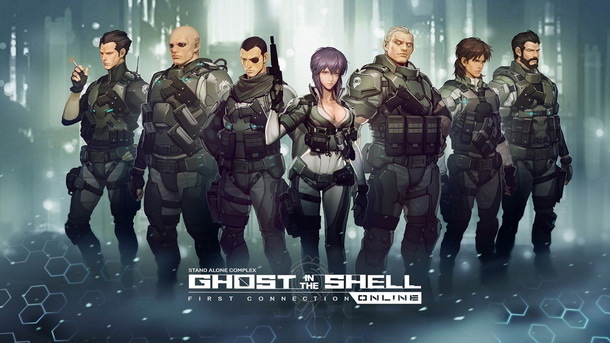 Early Access for Ghost in the Shell: Stand Alone Complex – First Assault Online is on its way. Nexon revealed the Early Access Pack that will be available for the free-to-play first-person shooter via a press announcement today, and it appears they have something for every budget. In total, there are four packs available, ranging in cost between $5 and $30. Note that two of these packs are Steam only offerings. Additional details can be found on the game’s official site. I can’t wait for Monday 14th. I wonder how long will the Early Access last… hopefully they will merge it with OBT or official release. I also hope that the game officially releases in December 2015, just like it says on the Steam page. Seeing how the game is still in baby steps, but I will say one thing the pricing on the founder packs are pretty decent compared to many many other games who are only going for as low as $19.99+ I do hope they do not do things like Nexon always does with their FPS games which is Tempo weapons and other junk. Too bad the game itself plays like the usual F2P FPS, like Combat Arms of something. It even reminded me of F.E.A.R. Online a bit. The theme and visuals were okay, maps felt small. Like, very small. The weapons/attachment felt like the usual ‘The more expensive guns you have, the easier it’ll be to kill others’ kind of thing (I would say P2W, but I don’t know anything about the monetization system yet). I was in the CBT and the weapon customization and overall game play felt kind of like Alliance of Valliant Arms… when it was still published by IJJI and Aeria didn’t ruin it, it was a favorite game of mine that I heavily played for 5 years straight. After I saw A.V.A’s downfall, I started looking for an FPS substitute, but failed. Eventually I found First Assault, miraculously, I was invited into the CBT and I had a blast, the game is amazing, at least for my needs and expectations. I can see myself spending at least 7-8 hours a day playing it. whats with the packs; god dam it nexon. Do not rid this game for us ghost in the shell fans! yeah that i want to know, because i play in the CBT and i dong gonna pay for a incomplete free to play game. Do people that were in CBT have to buy there way in?